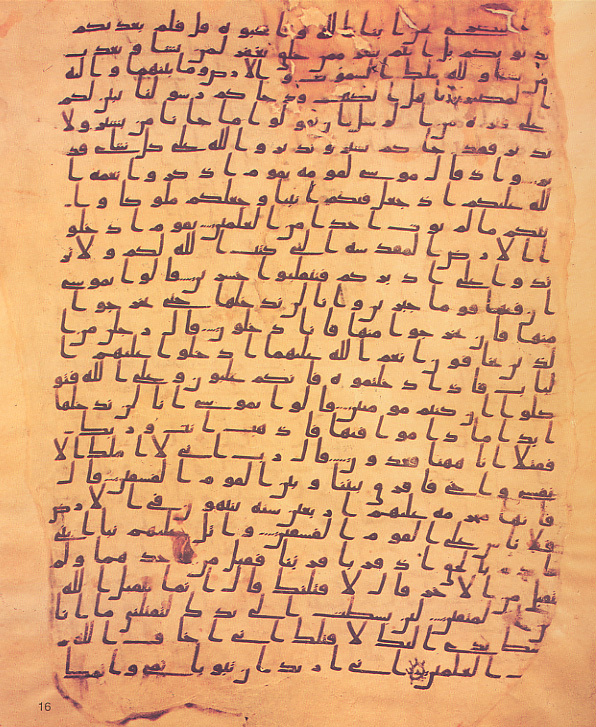 This is an example of what is thought to be one of the earliest styles of Quran copying. Dated to the first Islamic century, this manuscript is written in the "maili" or "slanting" script. This particular example has no vowel markers but does include dots below and above letters to distinguish them from from one another. Located in the Tareq Rajab Museum in Kuwait.